It is with great pleasure, and a little bit of familial pride, that I announce there is a new kid on the Weekend Testing block. During the first couple years of Weekend Testing Americas, Albert Gareev assisted me in getting the group off the ground, working on some more interesting and technical topics, and even worked with me to propose and try out the "Project Sherwood" project. We decided that the Weekend Testing model as it was designed at the time wasn't the best model for this expanded idea, but Albert didn't give up the fight. We've talked a number of times over the past couple of years about how the Weekend Testing model works both as a distributed communication model, but that it can also work well as a live and in person event. We realized that what "Project Sherwood" was missing was that in-person direct give and take element. Albert figured for that to work, it would make sense to try it with a group he already had familiarity with and in a community where such events could be developed and focused on. Since Albert is in Toronto, he figured "why not set up a Weekend Testing chapter in Toronto?" For those on the East Coast, and especially those in the immediate Toronto area, you are going to get a cool opportunity. Albert is a dedicated and accomplished tester, with a wealth of knowledge and a fountain of ideas. For those wondering if this is going to dilute the current Weekend Testing Americas offerings and sessions, I'm going to say "unlikely", because those who enjoy participating in these events will go to those that make sense for them and their availability. I've attended events in just about every of the chapters over the past five years, so in my mind, the more the merrier. The real winners are the testers that want to participate and learn some cool things. So what should you do? 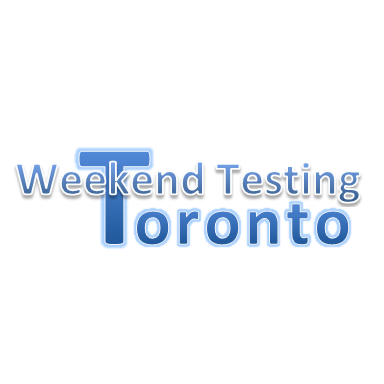 For starters, go and join the Weekend Testing Toronto Meetup. Follow @WT_Toronto on Twitter. Check Weekend Testing's main site for scheduled sessions. Most of all, get ready for a fun and engaging opportunity with an interesting and passionate advocate for testing.